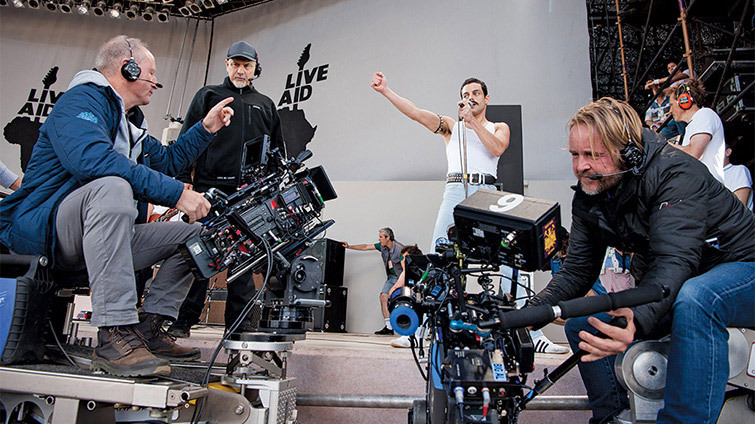 As every year, the overview of the films nominated for the Oscars 2019 is interesting with regard to the cameras and optics used. Hardly surprisingly, ARRI cameras dominate the two categories "Best Film" ("Best Motion Picture") and "Best Camera" ("Best Cinematography") of the Academy Awards completely, be it the digital (the ARRI ALEXA in all variants: ARRI ALEXA 65/SXT/XT Plus/Mini) or analog models like the ARRICAM or ARRIFLEX. Analogue film remains popular: out of 10 films, 3 (1/2) were shot analogue and only here are the ARRI cameras sometimes complemented by an Aaton Penelope/XTR Pro or Panavision Panaflex Millennium XL2 (or even a Bolex). Among the lenses used, Zeiss optics (Zeiss Master Prime, Zeiss Super Speed and Zeiss Ultra Prime) are the clear leaders, followed by lenses from Panavision, Cooke, Angenieux, Leica, Nikon Nikkor and Hasselblad. We&ll see who gets the 91st Oscars on February 24, 2019. Sennheiser XS Wireless Digital -- drahtlose Tonaufnahme für DSLR-Filmer Panavision Millenium DXL erhält Wireless Audio, neues DXL-M Modul (RED) u.a.